Set in the formerly landscaped grounds of Invergowrie House in Dundee, this new family home is nestled within mature trees and looks out over the Tay Estuary. 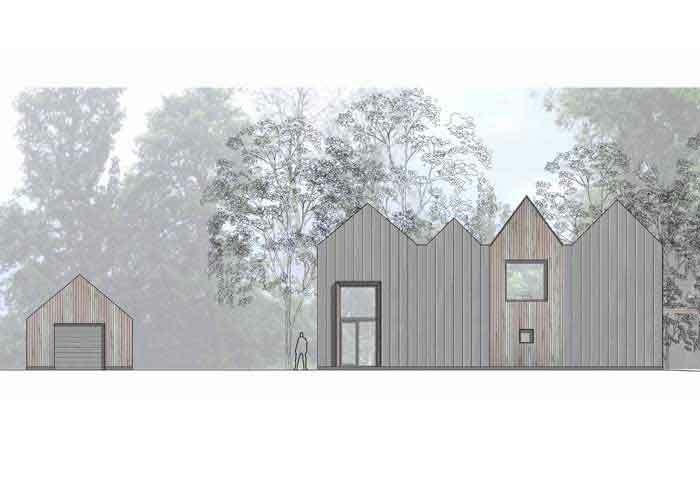 Timber and zinc clad to reflect the woodland setting and the ever-changing light on the nearby water. The main living spaces are at first floor to take advantage of the long views to the landscape while maintaining the privacy of the neighbours. Influenced by the history of the neighbouring Invergowrie House it is a contemporary home that respects its listed neighbour as well as having its own strong identity. 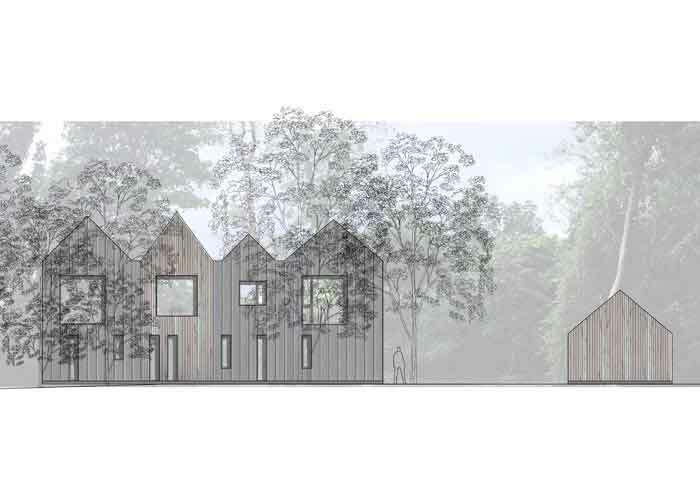 As well as meeting the passivhaus standard, it will be constructed using eco friendly wood based insulation and using a timber structure. 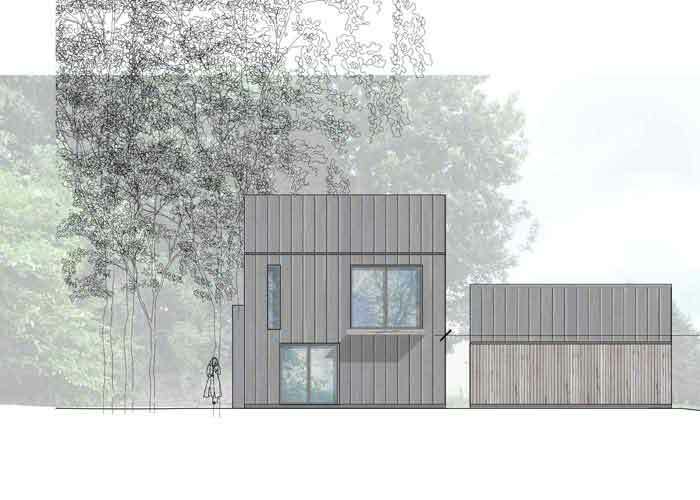 Cladding will be Scottish larch and recyclable, long lasting zinc.